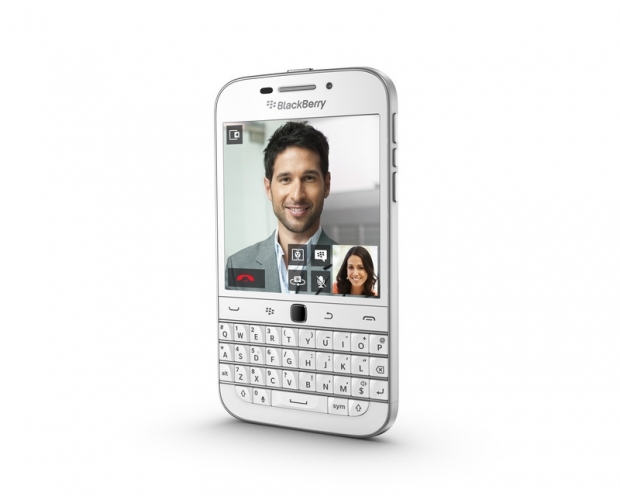 BlackBerry Classic in white ships this month | BlackBerry Blast! BlackBerry Classic fans have been waiting patiently for the alternate colors to arrive. BlackBerry Classics in white, blue, and bronze have been announced, but no timeline was given. During this week's Mobile World Congress in Barcelona, BlackBerry revealed the new colors are on the way. The white version of the BlackBerry Classic will ship sometime this month, while the blue and bronze versions will ship in April. BlackBerry did not say which carriers would get the new Classics, but AT&T is likely to be at the front of the pack. We should know in just a couple of weeks.